Spectacular lakefront Condo with private dock! This first floor condo is the perfect retreat. The condo has 3 large bedrooms, each with a private bathroom. An open kitchen, dining, relaxing space with a pool table, and a den with wood burning fireplace. The house is divided in two. The downstairs is the portion that is pictured and for rent. The upstairs portion is reserved for my family's private use. We have always been very respectful and aware that anyone staying is on vacation and fully encourage the late nights, noise, bonfires etc that go with that. Kitchen is all electric and fully equipped (Silverware, pans, stove, microwave, dishwasher.) Each bedroom has a queen size bed with a mattress. There is tons of room for air mattresses or extra sleeping, but bring your own. Washer and Dryer in the condo. One full bathroom and 2 additional half baths. The den has two full size sofas and room for an air mattress. Wi-fi throughout. My husband and I wrangle 3 boys who keep us laughing and smiling all the time. The oldest is 10 and loves jumping off the dock and swimming in the cove. He added kayaking to his repertoire last summer. We have managed and owned apartment rentals before, but this is our first vacation rental. The first 5 years have been awesome and we look forward to all the amazing guests this year. This property captured our hearts with the fabulous views, the easy water access, and the amazing amounts of wildlife. We don't go a single visit without seeing deer, cranes, otters, or some other critter roaming about. Wake to an amazing sunrise. Boat all day and tie up to the dock. Come in for a snack and a game of pool. When the sun goes down, light up the charcoal grill and a bonfire for s'mores. Just a few feet separate this condo from a private dock and the lake itself. Watch the sunrise over the water each morning from your room! Air conditioning is set between 68 and 74 Owner sets, so let me know if you need it adjusted. Heating is set between 70 and 74 Owner sets, so let me know if you need it adjusted. Sheets for all beds. Limited extras. Towels for 8-12. There is a circle drive perfect for turning with your boat. There is also a long private drive for all the guests to park in. Internet is WIFI though the house. Table will easily accommodate 6 chairs. Additionally there is a bar area that seats 4 more. And outdoors is a table and 8 chairs. Standard TV - No Cable. TV is connected to Internet so all manner of Netflix; Amazon Video, Hulu and other streaming services are available but not provided. Blue Ray / DVD player provided. Upgraded 2017! Solid Oak pool table, with new felt surface. There are several kayaks typically available. There are two wide steps from the driveway to the door. That would be all. The view of the water, sail boats, fishermen and geese from the porch was beautiful and peaceful. The house was very comfortable. For the most part we really enjoyed our stay. The owner greeted us and her little boys were very sweet wishing our friend a happy birthday with a card and plate of cookies. Very much appreciated. Had a little problem going to sleep that night due to easy to hear other sounds in the house. The view makes it worth doing again. Would brownies have gotten us another star? Very nice place with accommodating owners. It fit our needs (as a home base for fishing) perfectly. Hopefully we can return in the future and have better luck with the fish. We already miss Nimbus the dog! Great hosts, very accommodating and helpful. Loved the view of the lake and the whole family loved it! Can’t believe we didn’t play pool! We stayed at the house for a girls getaway for one night. The cabin was very nice! We ran into Kimberley the next morning and she was super nice! She was great at communicating, we just didn’t need anything so we didn’t interact much. We had 7 people and all slept comfortably. I would definitely recommend. A few things to note...if you are coming at night, it can seem a little creepy with no lights. You may want to bring a flashlight. Also, read the directions about which drive to use. We got a little confused. The kitchen is well stocked except we couldn’t find a corkscrew so you may want to bring your own. Thanks Kimberly for letting us stay! Thanks ladies! I'm glad you had a great stay! It is very dark at night, but also my fault for forgetting to turn on the outside lights. The corkscrew had gotten left outside the night before and has already been returned to it's rightful home in the drawer. Glad you gals enjoyed the otherwise cold wet October night! It’s basically someone’s cold damp walkout basement. There was a loud dehumidifier running all night to try and keep it dry. Owner controls temperature, no control in the unit. Listed as pet friendly but there was a few good size dogs running loose in the area that scared our small dogs and prevented them from going outside. We left after one night but had to pay for three. Tried to negotiate a partial refund but no luck. A VERY EXPENSIVE one night stay at sub-par location. Very frustrating experience for the one vacation we get each year. There is a nice dock with access to the lake if you happen to be into water sports, fishing, boating, etc. They are probably nice people but I wouldn’t do business again. Please contact me with any questions or concerns! And come enjoy Kentucky Lake! 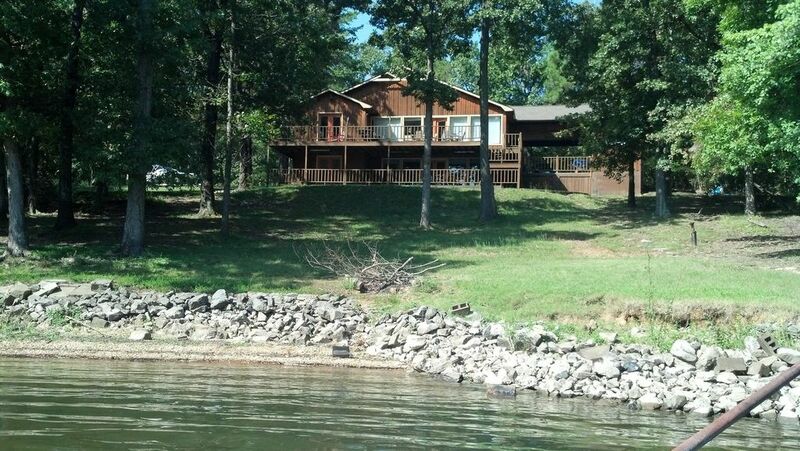 Just 3 miles north of Moors Camp Marina and 15 miles south of Kentucky Dam State Park - you will find everything you want in a lakeside vacation. Plenty of wildlife, boating and sailing rentals from the marina, and lots of activities for everyone at Kentucky Dam State Park. Parks.KY.Gov for more information. Directly across the lake is the famous Land Between the Lakes with additional activities, hiking trails, an 1800s working farm, planetarium, and a bison prairie. Make sure to check out LBL.org for more information on their happenings. All taxes are included in above rates. Rates are subject to change. $200 Down Payment reserves your dates, the remaining balance is due 30 days prior to your stay. If you must cancel prior to the 30 day mark, your down payment will be returned.